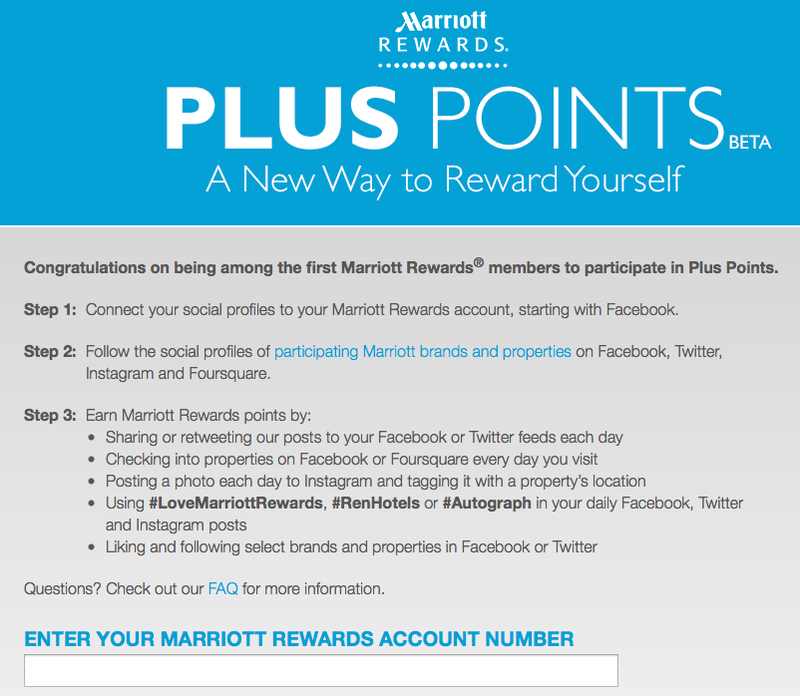 Marriott rewards has just launched a new social media initiative called "Plus Points". Essentially it is a rewards system that offers bonus points for members performing various actions on different social media outlets. Each action has a certain number of bonus points attached to it and your points are capped at 2,000 points every 30 days. 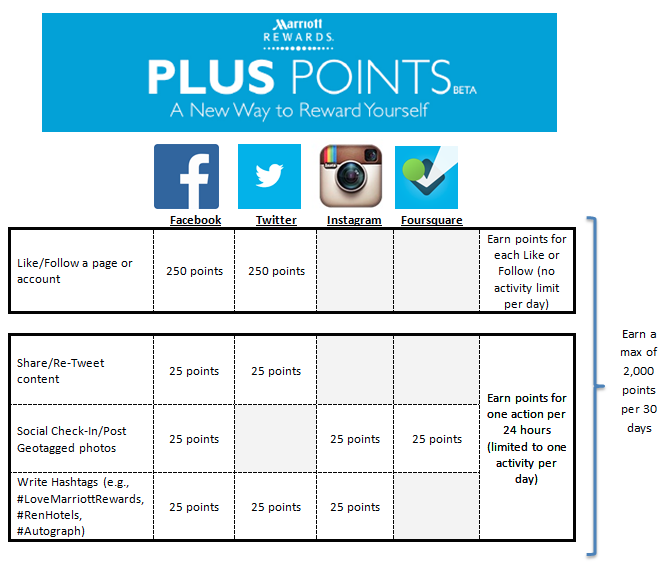 The easiest way to earn the points is by liking one of the participating properties on Facebook or following on Twitter. Each like earns you 250 points. Like 8 different properties and you have an easy 2,000 points. You can repeat the process every 30 days. As a reminder, free nights start at as few as 7,500 points per night for category 1 hotels.